Those who fill out a Cox Communications application are striving to join a company that puts their customers first. In a world that is rapidly evolving with faster moving technology, this company aims to be there and help guide their customers through it. Links to apply for jobs at Cox Communications are at the bottom of the page. 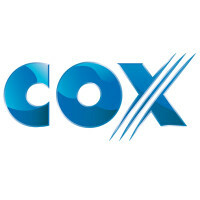 Cox Enterprises, the parent company of Cox Communications, started buying small cable systems in Pennsylvania, California, Oregon, and Washington in 1962. The Cox Broadcasting Corporation was officially formed in 1964. In 1993, they began to offer various telecommunications services to businesses, which grew into Cox Business. After the Telecom Act of 1996 was passed, Cox Communications was the first company to offer bundled phone and television services. Throughout the rest of the 1990s and 2000s the company continued to and go. Although their transition to digital was bumpy, the company has moved ahead, currently pushing to offer gigabit internet service to residential customers. Besides offering phone, internet, and television packages, Cox Communications offers Cox Media, which works help customers with advertising; Cox Business provides for businesses at the business level; and Cox Home Security, which runs off of the Cox Communications network, using more advanced technologies. Although all of these products have different names and have different people working for them, they’re all under the Cox Communications umbrella of service to their customers. Most Cox Communications jobs are available at the local level. There are some positions that work directly for the headquarters, which are based out of Atlanta, Georgia, but a large majority are in the field or in offices around the country. All positions are geared towards making sure that the customer has a great experience. How old do you have to be to work at Cox Communications? Age requirements vary by job. As you browse Cox Communications jobs online, make sure to read all job requirements closely as some positions require various degrees, experiences, or certifications. Those with Cox Communications careers get several benefits including vision, dental, life, and health insurance, pension plan, 401K, and paid vacation, holidays, and personal days. The company also offers several courses on their online university in order to promote the continuing education of their employees. More benefits are available, but they depend on your location. Hours for each office vary by location and what that office is geared towards. For a technical support center, it will run on a twenty-four seven basis, so staff members will work in shifts. Traditional offices will generally stick to usual business hours but employees’ hours may vary between the usual time span. Account Executive – By cold calling current small business customers, you’ll strive to maintain them as customers by making sure that they’re happy with their service and fix any issues that they may have been experiencing. Building good relationships with your customers is a big part of this position. Compensation is around $60,000 a year with reimbursement for travel. Customer Retention Representative – Customer service is a major part of this position, as you’ll work to retain customers by offering various incentives, like upgraded or additional service. If customers are having issues, you’ll work to solve those as quickly and efficiently as possible. Compensation is around $40,000 a year. Media Consultant – You will create consulting relationships with clients and their ad agencies in order to make sure that their ads are helping grow and enhance their businesses. Knowing everything that you can about your clients and their business will help them to make smart advertising decisions on your advice. Compensation is around $40,000 a year. Retail Sales Associate – Working as a company ambassador, you’ll help in the stability and growth of the company while working with customers on their purchases, installation, and making sure that they’re educated on the product. Compensation is around $40,000 a year. Technical Support Representative – You’re serving on the front lines of the company as you strive to fix issues that customers are having in real time. If you cannot fix the issue over the phone, you will schedule time for a technician to come out and service it. Compensation is around $50,000 a year. Why do you want to work for Cox Communications? As this is an extremely common interview question, you should be prepared for it. Talk about what drew you to the company, whether it was the company culture or benefits, and why it’s your first choice in places to work. What experience do you have? Highlight all of your relevant experience. If you’ve held any customer service experience, make sure to talk about it and explain exactly what you did with the customers. Make sure to provide plenty of examples to back up any claims you may make. Where do you see yourself in the next few years? Your interviewer is looking to see if you’re planning on staying with the company. Be realistic in your career goals, but make sure they know you’re willing to take on extra challenges and responsibilities in order to move up in the company. As Cox Communications relies heavily on customers, you may be asked this question in the form of a hypothetical situation: How would you take care of an upset customer? Be practical and realistic as you explain the steps that you would take to turn the customer’s experience around. Several positions require you to drive from place to place in order to talk to and visit customers, so you may be asked: What is your driving record like and do you hold a valid license? Be honest. The company wants to make sure that you’re a safe driver and will make it to your destination safely. How to apply for Cox Communications online: start by searching for the position that you’re interested, in after narrowing your search to just this company. Once you’ve found it, make sure to read all job requirements closely before filling out your Cox Communications application. There is no printable application for Cox Communications. Before attending your interview, do research on the company and industry in order to have a list of prepared questions that you can ask at your interview. Although this seems excessive, especially for an entry level position, it will place you in front of the other candidates as it will show that you think ahead. Dress professionally for your interview in business casual as the interview will be in a formal setting. If you’ve applied for a managerial or supervisory position, a suit would be more appropriate. Have a positive and friendly demeanor as it will give your interviewer a good impression and show that you’re ready to work in a team-based environment. Make sure to show gratitude at the opportunity to interview with Cox Communications. After your interview, inquire about the best way to check on your hiring status as no applications will learn if they got the position during their interview. Cox Communications will want to screen all candidates before making a final decision. Quaker Oats: Visit the Quaker Oats application. Pridestaff: See our guide for careers at Pridestaff. Long Island Power Authority: Use the Long Island Power Authority job application to apply here. U.S. Xpress: See our resource page for more information on U.S. Xpress careers. McMaster-Carr: For employment at McMaster-Carr visit the application page.